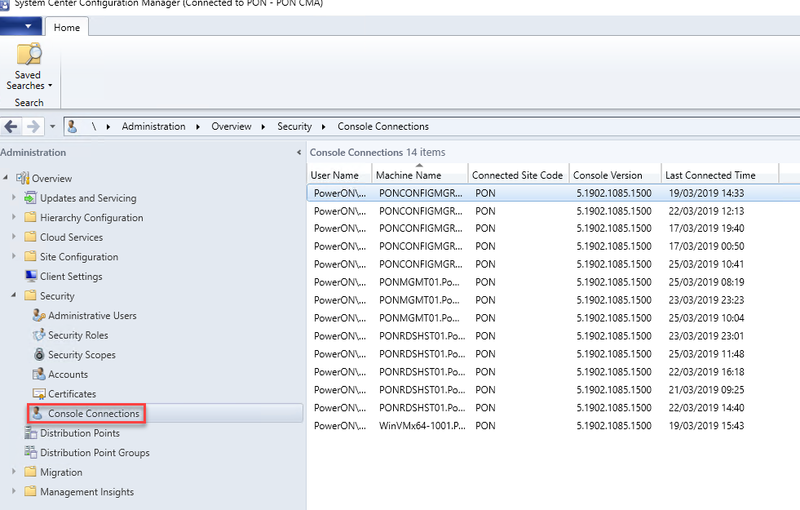 This post covers the specific additions and improvements to the Configuration Manager Console that were added to Configuration Manager 1902. The Configuration Manager product group love to get involved with the IT community and take their feedback very seriously, I’ve seen this first hand. As such, a number of members of the product team attended the Midwest Management Summit Desert Edition last December and took direct feedback from attendees with some features added on the spot. Here are some of those improvements that made it into 1902. In addition to these community driven additions, these are the published features for the console in 1902. We now have a new banner which is added along the top of the console beneath the ribbon which will notify us of new Configuration Manager versions and if there are maintenance events happening within the environment. Admittedly I missed the screenshot on this one and I will add this when I see it however I can confirm it’s there and you won’t miss it. If you’re not already aware (you should be!) 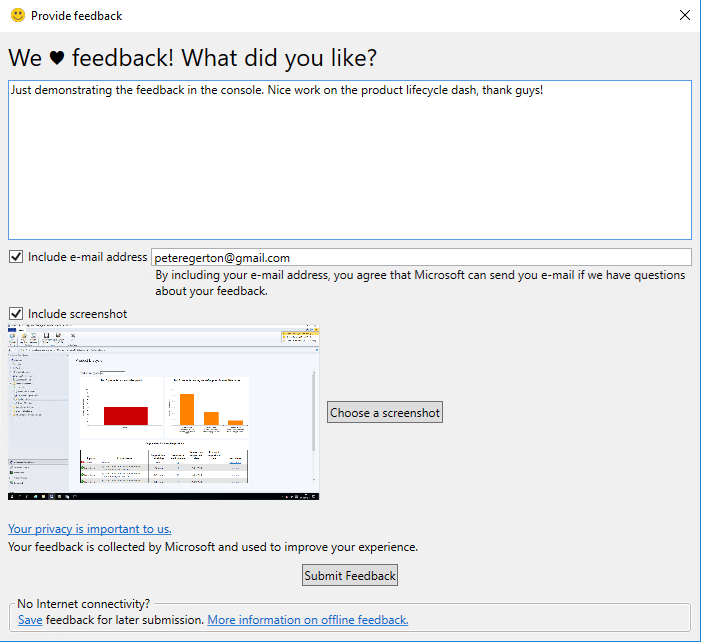 we can send feedback to the product group directly by using the feedback smiley in the top right hand corner of the console. I can vouch that they do read these and they enjoy a positive feedback as much as they value a constructive one. Don’t send something negative for the hell of it though, that’s not cool. and hey presto! We have submitted feedback to the people behind the scenes and it is submitted so you know it went. You also have the option to not see these again if you’re doing this regularly perhaps. I really love this new addition. Now we can see right there in the console, who else has a console connection, where they are connected from, which version of the console they are running and when they last connected. Simple, but genius addition in my book. We don’t (yet) have the next logical step though – kick the user out. Let’s not get greedy though, this is a neat addition. If you’ve not noticed this yet in any of my other screenshots, we now have a ‘Community’ workspace within the Configuration Manager console. 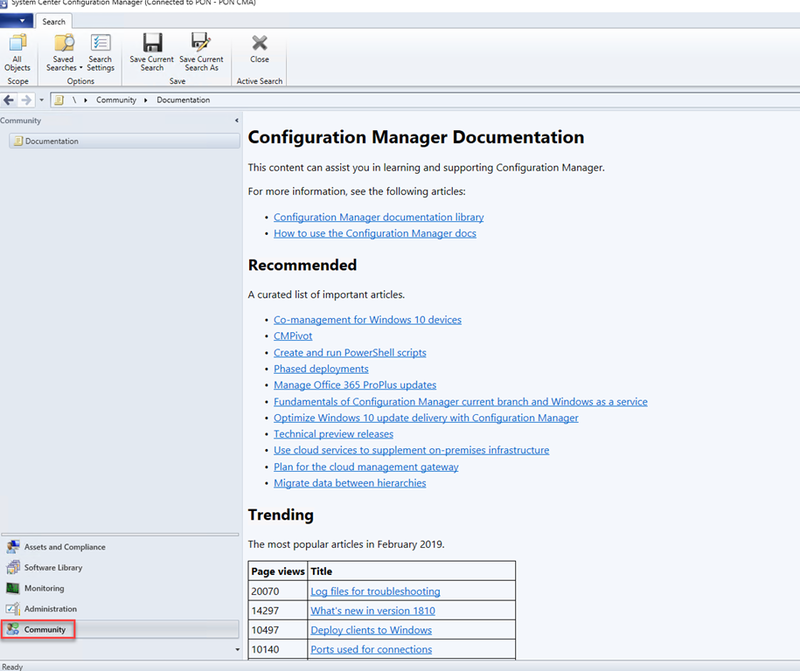 This links us to recommended, most popular (trending) documents, recently updates documents, troubleshooting articles and new and updates support articles. Love it! Another handy addition is to search for a device by MAC address. Previously we would have to do this through reporting and find the report for a device with a specific MAC address, this is a much quicker and efficient option. Note also in my screenshot that this device has multiple MAC addresses so this also works just fine. As Microsoft make a concerted effort as a company to extend accessibility in their products and services, Configuration Manager can now use .Net Framework 4.7 for added accessibility. I don’t have more details on the specific on this at this stage but I will find out what the additions are or will be here.